PUMP WATERBED Rentals Ft. Collins CO, Where to Rent PUMP WATERBED in Ft. Collins, Wellington, Greeley, LaPorte, Loveland, Windsor CO and all of Northern Colorado. 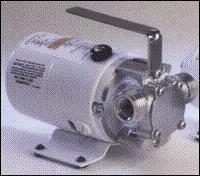 Small electric pump works well for waterbeds, no priming is necessary. The pump has 2 male thread connections for a garden hose fitting. * Please call us for any questions on our pump waterbed rentals in Fort Collins, Wellington, Greeley, LaPorte, Loveland, Windsor CO and all of Northern Colorado.